If you have a New Mexico based agricultural business, don’t miss this opportunity to apply for funding assistance. Limited funding assistance is available through the New Mexico Department of Agriculture for the current fiscal year. The year began July 1 and ends June 30, 2019. The deadline to apply for funding is Nov. 30, 2018. For the tradeshow assistance opportunity, there are two options. NMDA provides up to 25 percent of the floor space cost at the National Fiery Foods & Barbecue Show March 1-3, 2019 in Albuquerque. For all other tradeshows, NMDA provides up to 50 percent of the floor space cost. For the cooperative advertising assistance opportunity, NMDA provides support for advertising costs. The cost-share assistance is based on funding availability. All ads must contain either the New Mexico–Taste the Tradition or New Mexico–Grown the Tradition logo. This may be obtained by applying to the free logo program through the NMDA Marketing and Development Division. While all types of advertisements will be considered, online advertising is encouraged. Projects that exhibit collaboration amongst multiple industry members are also encouraged. “The agriculture industry is such an important part of the New Mexico economy. We hope businesses out there will take advantage of these unique opportunities. [To] promote their products and services,” said Jeff Witte. For details or to download the application, visit newmexicotradition.com, click on “program” on the drop-down menu and select “funding assistance.” Applications must be submitted by Nov. 30. Questions? Email tastethetradition@nmda.nmsu.edu or call 575-646-4929. For more information about NMDA, visit www.nmda.nmsu.edu. Like us on Facebook www.facebook.com/NMDeptAg, and follow us on Twitter and Instagram @NMDeptAg. Calling all New Mexico chefs. Grab your favorite recipes for the first-ever NEW MEXICO—Taste the Tradition® (NM-TTT) Chef Ambassador Program. NMDA is looking for chefs who support New Mexico agriculture by serving New Mexico agricultural products in their restaurants. Help NMDA promote the agriculture industry by applying to be a chef ambassador. Ambassadors selected through a competitive application process will serve a two-year term. 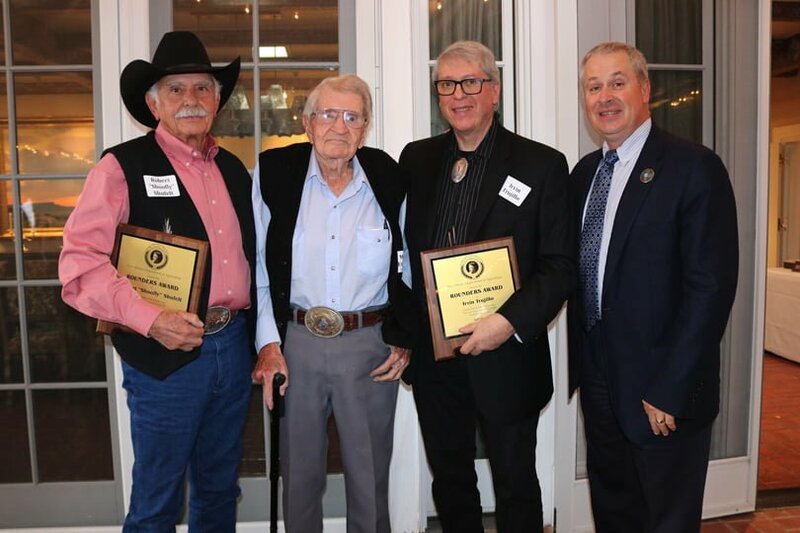 They will advocate for and promote New Mexico agriculture at various events. 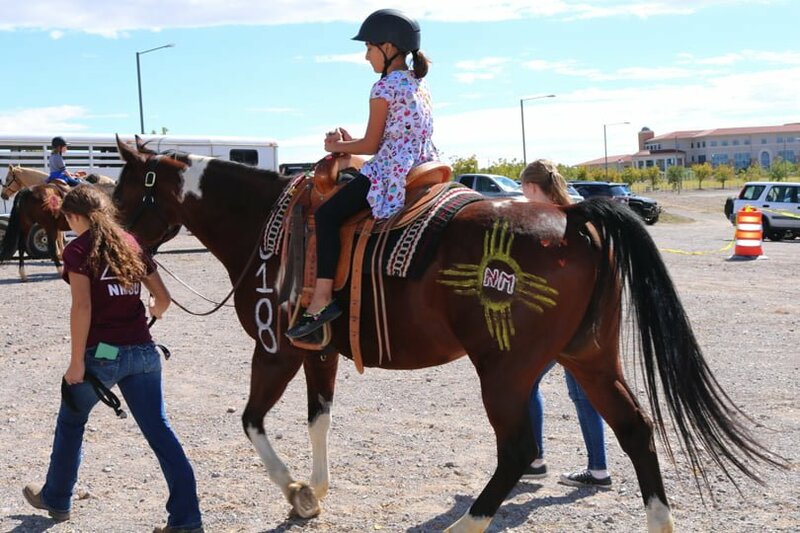 Such events include the New Mexico State Fair, HomeGrown and industry conferences. In doing so, chef ambassadors will receive recognition and gain industry exposure while giving New Mexico agriculture a voice. New Mexico Secretary of Agriculture Jeff Witte said the chef ambassador program provides an opportunity for chefs. They can showcase how different foods and beverages from throughout the state may be incorporated into various recipes. “New Mexico farmers and ranchers grow diverse and high quality agriculture products. These make up the entire plate,” Witte said. Chef ambassadors are the ideal group to showcase these dishes. Those interested in becoming an NM-TTT Chef Ambassador must demonstrate credentials. These must be as a chef, sous chef or pastry chef in the state of New Mexico. Please visit newmexicotradition.com or call Felicia Frost at 575-646-4929 for more information. Applications and necessary attachments must be emailed to tastethetradition@nmda.nmsu.edu by Saturday, June 30. Like us on Facebook www.facebook.com/NMDeptAg and follow us on Twitter @NMDeptag. The purpose of the meeting is to improve and benefit the livestock industry. This is done by sharing experiences and strengthening relationships with New Mexico’s counterparts in Arizona and Sonora, Mexico. Last year’s inaugural meeting was held in Hermosillo, Sonora, Mexico. 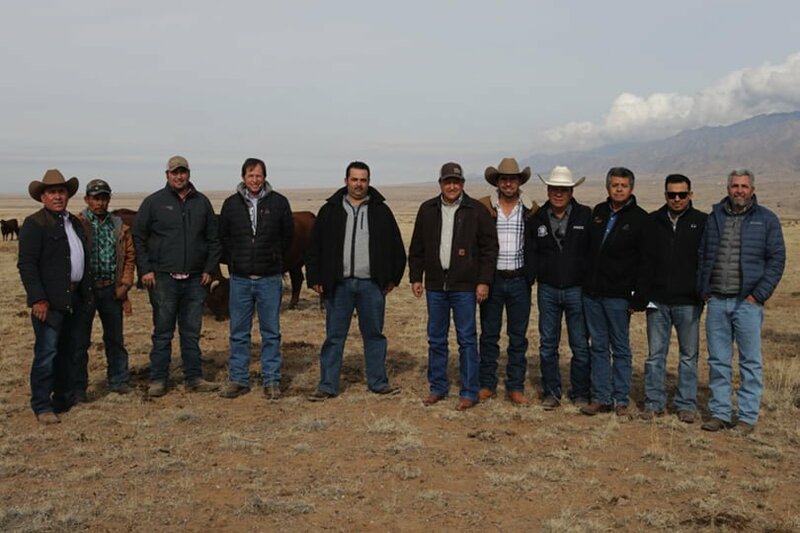 “The binational meeting provided a great opportunity to showcase New Mexico livestock and dairy quality. It allowed us to continue to build on our strong partnership with our neighbors from Mexico,” said Jeff Witte. “Our producers share many of the same challenges and opportunities. They enjoy working together to benefit producers from New Mexico, Arizona and Sonora. As a region, we are stronger together.” Jeff is New Mexico Secretary of Agriculture. The meeting began Friday morning at the New Mexico Farm & Ranch Heritage Museum with speakers and a round-table discussion. Witte spoke at the meeting, along with others. Other speakers were Tom Sidwell, Julio Cesar Corona Valenzuela, Rubén Molina Molina and Dr. Peter Mundschenk. The meeting concluded Saturday, April 14, when attendees learned about the dairy industry in New Mexico. Robert Hagevoort with NMSU Dairy Extension gave a presentation. The attendees toured F&A Dairy, and they visited a Big Sky Dairy Farm. NMDA works to change the organic certification fee structure. In January, New Mexico’s organic industry traveled to the legislature in Santa Fe to meet with state representatives. This meeting was about a change to an existing fee structure for Organic Certification. A new equitable and sustainable fee structure is being written. It standardizes the NMDA’s organic department’s program, with other accrediting programs across the nation. This came after members of the New Mexico Organic Industry initiated this legislation. The New Mexico Department of Agriculture will hold public meetings in Las Cruces, Portales, Santa Fe and Albuquerque. During these meetings, the new structure will be explained. NMDA hopes to receive community input on the proposed changes to the New Mexico Organic Program. Meetings for the community to attend, have been scheduled across the state.  And Wednesday, May 24, 2017, from 3:30 to 5:30 p.m. at the USDA State Office in Albuquerque. The New Mexico Department of Agriculture (NMDA) is conducting follow-up meetings to the ones held at the beginning of August. The purpose of the meetings is to provide information on additional funding alternatives to the New Mexico Organic industry. This is to keep the New Mexico Department of Agriculture Organic Program (Program) operating in a positive cash-flow. NMDA cordially invites you to participate in any or all of the planned meetings to discuss these options. If you are unable to attend the meetings, NMDA will once again offer the meeting through Adobe Connect. This will be offered during the Las Cruces meeting only. To access the webcast, please join us at http://nmsu.adobeconnect.com/organiccommmeeting/ . We look forward to seeing or hearing from you, see below for a list of times and locations. Las Cruces Thursday, October 6, 2016 from 1 to 3 p.m.
NMDA Main Conference Room, 3190 S. Espina St.
Portales Monday, October 10, 2016 from 3 to 5 p.m.
Roosevelt County Extension Office, 705 E. Lime St.
Tuesday, October 11, 2016 from 1 to 3 p.m.
Tuesday, October 11, 2016 from 5 to 7 p.m.